Use these facial mask recipes to give your body chemistry a hand when it comes to healthy cell reproduction. This is the most important function our body has, and when it comes to our skin it's vital to getting and maintaining a beautiful complexion that glows with good health. Combine any of these recipes with a quality moisturizer as a base. Leave the masks on for a minimum of 15 minutes. Remember that applying a warm, damp washcloth or small towel to the skin on top of your mask drives the ingredients further into your skin and increases the positive results. Be sure to rinse off the mask thoroughly, and then use toner (preferably chilled), serum and moisturizer to seal in the nutrients. You should be lying down after applying any of these masks. Laying a piece of cheesecloth or gauze on top of your treatment helps to prevent dripping. A towel with a velcro closure, or a terry robe is ideal to wear for home skin treatments. Mix 1 tablespoon sesame oil, 1 cup mashed pumpkin and 1 tablespoon almond oil. Apply the mask on the weak (most dry) areas of your skin. Massage the mixture in well so it penetrates deeper into the skin. This mask carries moisture to the dermis, and you should see immediate improvement. Sesame oil is beneficial due to its capability to make the skin more elastic. It also immediately rejuvenates and plumps the dermis. 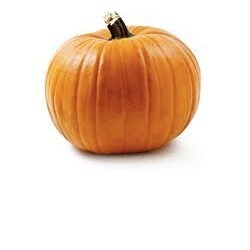 Mashed pumpkin is an excellent source of exfoliating enzymes. These are the enzymes that can break the bonds of dead skin cells that have attached themselves to the dermis. They will aid in they exfoliation process without employing abrasive ingredients. Almond oil is a good source of copper. Copper is a trace mineral that can support the existence of peptides, which in turn assist in boosting collagen production. Grate one medium-sized carrot and add to your blender pitcher, pour in 1/4 cup of orange juice and one tablespoon of olive oil. Process until the ingredients are well mixed and smooth. Apply the mask to your face, neck and decollete. Carrots are excellent sources of beta-carotene, which is a derivative of Vitamin A. This is a vital nutrient that helps heal damaged collagen fibers and also makes the dermis far more elastic and less prone to wrinkles and sagging. Orange juice can instantly rejuvenate your complexion. It works by sloughing off dead skin cells and paving the way for your body to replace the old and damaged layers of the skin. Olive oil can increase the permeability of the dermis, and allow the other nutrients to absorb in more efficiently. It also immediately hydrates the skin. Mix 1 cup of milk, 1 tablespoon safflower oil and 1 tablespoon lemon juice. 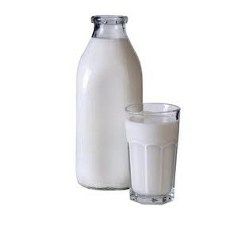 Milk contains 8 kinds of amino acids. Amino acids are the building blocks of complex proteins that are needed for the production of keratin. Keratin is vital to skin renewal and overall skin health. Without a sufficient amount of amino acids, the body's collagen production will be greatly compromised and it will have a negative affect on your skin. Safflower oil is an excellent source of linoleic acid. This can speed up the regeneration of damaged skin tissues. Lemon juice can immediately brighten your skin by fading dark spots and giving you a more evenly toned complexion. 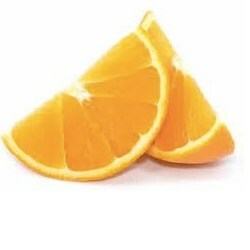 It also contains vitamin C that stimulates collagen production. Use these facial mask recipes twice to four times per week for the best results. Eat well, perform Yoga every day and get a good night's rest. Your complexion will glow with good health!